14 ARPU 46019 BCH HEN PERFORMANCE PROVEN RACER IN THE 2014 ROUTE66RACE. BREEDERS SEND THEIR BEST! FLEW THE 2014 ROUTE66RACE 4 RACE SERIES, INCLUDING A 150 MILE RACE, 200 MILE RACE, 250 MILE RACE AND A 300 MILE RACE. PLEASE GO TO WINCOMPANION AND PULL UP THE ROUTE66RACE ARCHIVES TO VIEW PAST RESULTS. 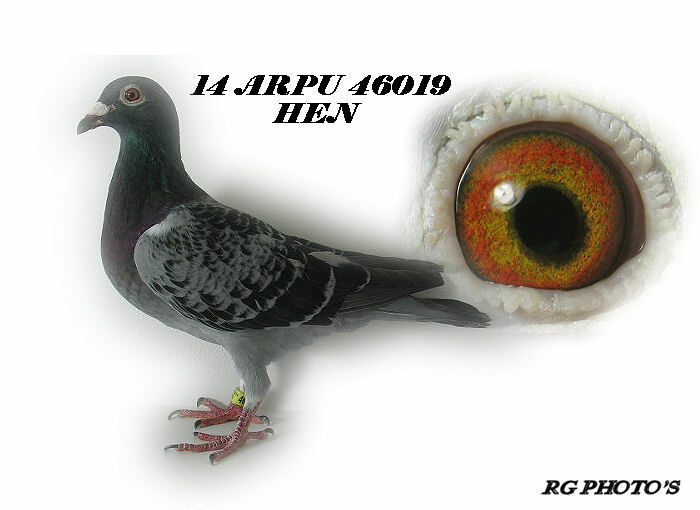 THE BIRDS LISTED ARE VERY NICE PIGEONS AND HANDLE NICE IN THE HANDS. THEY ARE PROVEN RACERS AND THESE COULD MAKE EXCELLENT BREEDERS. THEY HAVE NEVER BEEN BRED FROM.